Hey guys! Today I wanted to talk to you guys about the wonders of Castile Soap. Castile soap is my number one item for natural cleaning and personal hygiene. Castile soap is a gentle sulfate-free foaming soap made mostly with vegetable oil that is named after a region in Spain where it was originally made. Because it is os gentle it can be used on every member of the household including babies and pets! The first scent of Castile soap I bought was peppermint,l but be warned, this one is not the best body wash. It can make the more sensitive parts burn. Since then I have also purchased eucalyptus Castile soap and lavender Castile soap. Lavender is the best for personal hygiene and the others are great for cleaning. 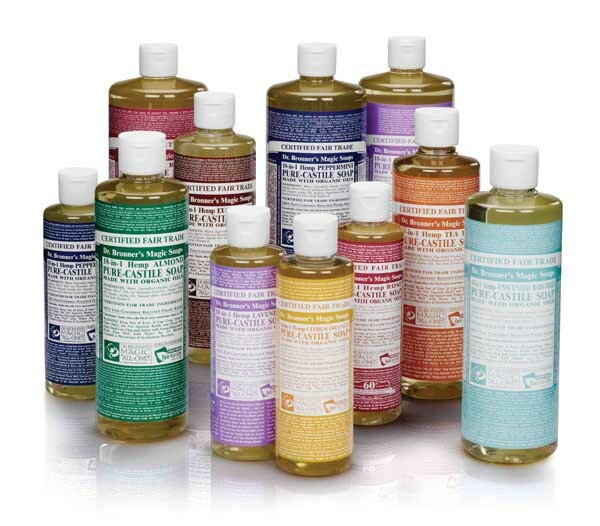 Do you use Castile soap in your household? What are your favorite uses? Shampoo - Fill a bottle half way with Castile soap and the rest of the way with water. I personally use a spray bottle and spray it on my scalp and in my hair. The consistency is very watery. Body wash - You can also use the shampoo mixture as a body wash. Dish Soap - Use a mixture of half Castile soap and half water to replace your dish soap. Countertop cleaner - Mix half Castile soap and water in a spray bottle for a countertop cleaner. Pet Shampoo - Squirt some of the Castile soap on to a warm washcloth and was your furry friends! Hand soap - Pour some into a soap dispenser and use it as hand soap! Wash fruits and veggies - Add 1/4 teaspoon of liquid Castile soap into a half sink of water and let your veggies soak for a few minutes. Make sure you scrub them once they soak! Check out our other natural cleaning posts!